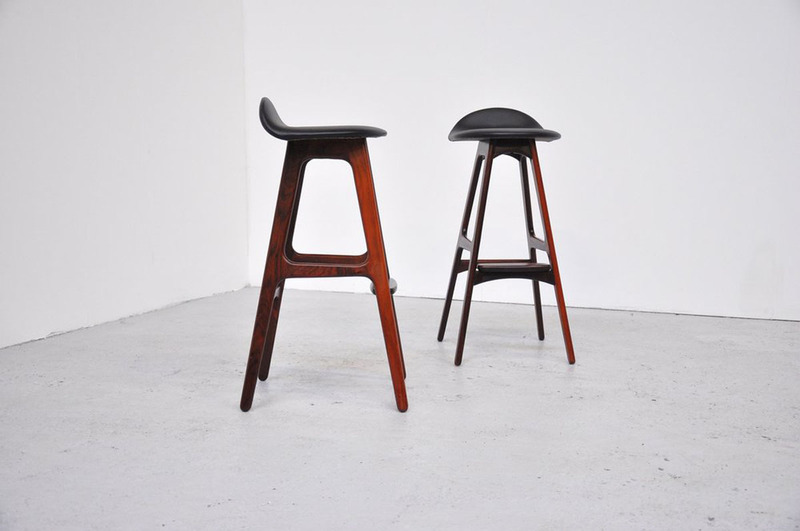 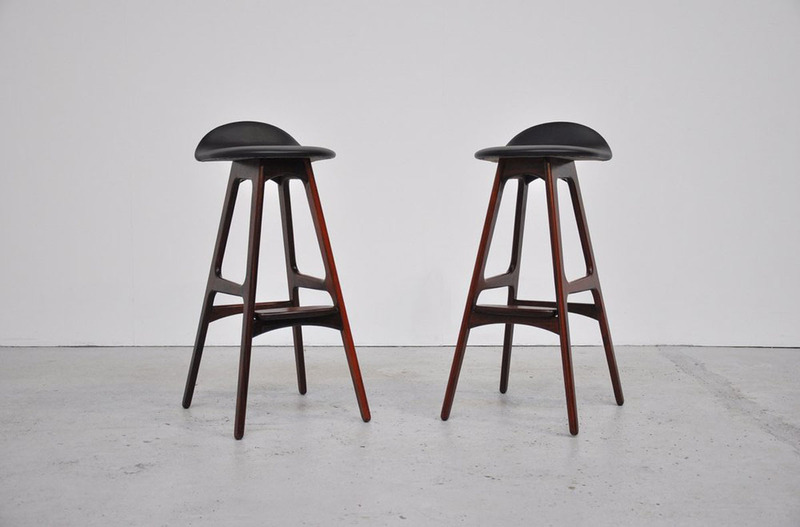 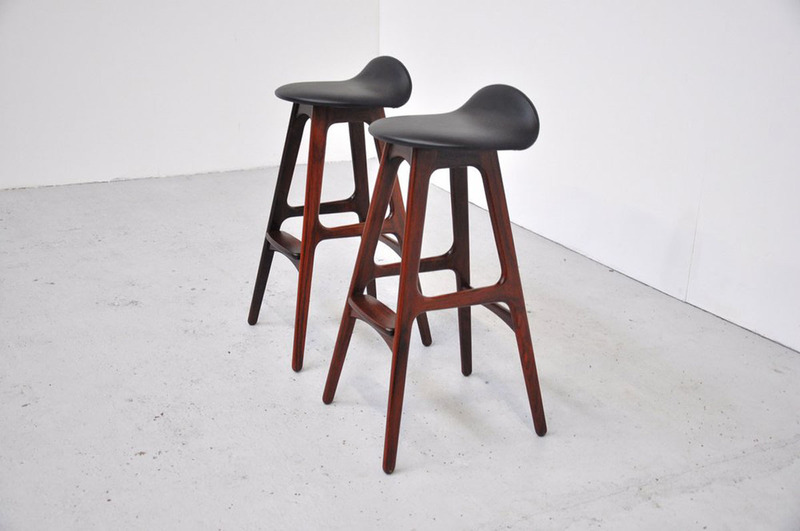 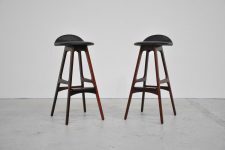 Fantastic pair of bar stools designed by Erik Buck for Oddense maskisnedkeri A-S, Denmark 1960. 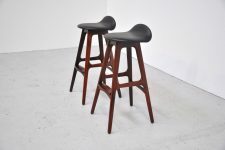 These super stools are in like new condition, the rosewood still has its original dark color, and this is super quality rosewood. 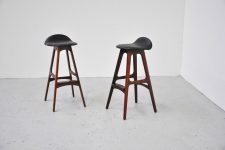 The seats are in black leather and are also in mint condition. 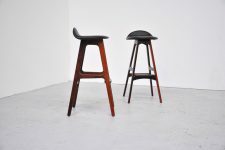 Both stools are marked with sticker. 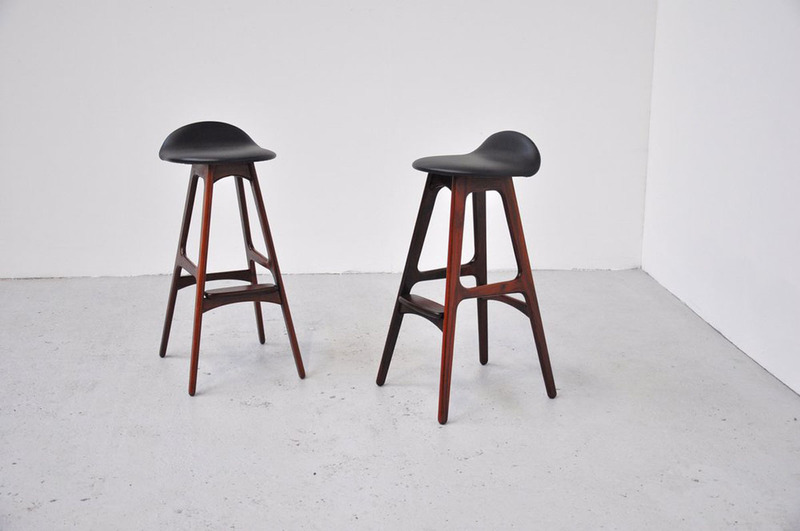 Super organic shaped danish modern pair of stools.